"Jim and Family, Our thoughts and prayers are with you all..."
"I was so very sorry to hear of Holly's passing. A precious..."
"Jim: Our thoughts and prayers are with you and your family..."
"Gone from our sight, but never from our hearts. Remembering..."
"Gone way to soon. I will always be thankful to you for..."
Holly Lyn Thorkildson was born in Vancouver, WA, where she died on Sept. 13, 2017. 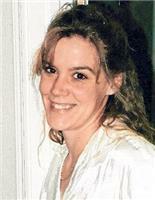 She was preceded in death by Sharon Lee Thorkildson (Mother); Denise Thorkildson (Sister); and Greg Thorkildson (Brother). Holly is survived by Alexia Reed Thorkildson (Daughter); Kyle Thorkildson Reed (Son); James Edward Thorkildson (Father); Shirley C. Thorkildson (Stepmom); Bart Thorkildson, James Jr. Thorkildson, John Thorkildson, Charles Thorkildson, and Doug Thorkildson (Brothers). The graveside service will be at St. John's the Evangelist Catholic Cemetery, Sept. 25, 11:00 a.m. All are welcome. In lieu of flowers, please donate to the church or the humane society in Holly's name.